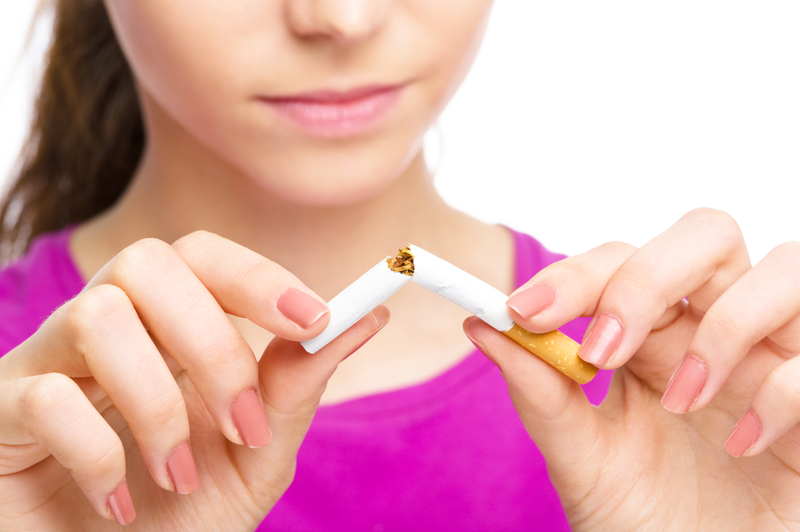 Nicotine is a highly addictive substance, so giving up smoking can be a struggle. Rather than simply stressing the negative effects smoking has on your health, it can be useful to think about the positive effects of stopping. Your body has an amazing capacity to heal itself, so the health benefits of refraining from smoking start to be felt very quickly. After just one hour your blood pressure and heart rate will have returned to normal. Eight hours after your last smoke the depleted oxygen levels in your bloodstream will have returned to normal. Two days after your last smoke, all nicotine will have been eliminated from your body and your lungs will have begun the process of clearing mucus build-up and smoking-related debris. As a result of these natural healing processes, after three days of not smoking you will notice that you are able to breathe more easily. Just two weeks after quitting, your circulatory system and lungs will be functioning more effectively and tasks like walking up stairs and running will be easier. Three months after your last smoke, lung function will have improved radically and symptoms of smoking such as the classic smoker’s cough, wheezy breath and labored breathing will have gone. Ask your physician for information about the many ways you can quit smoking using aids such as nicotine patches and gum, dedicated smartphone apps and prescription medicines.